Roadtripping along the eastern coastline of this faraway country down under was an overwhelming experience. While we find each country we visit unique, Australia is just beyond that. For one, about 80% of the plants and animals that live there can’t be found anywhere else in the world! Every tree and flower is a wow there. 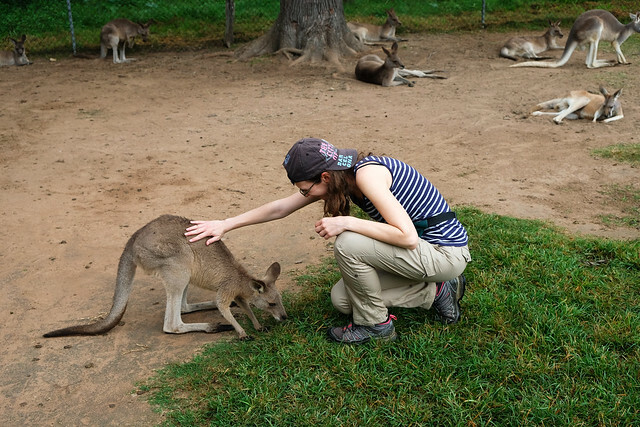 And let’s see what else… We’ve made an attempt to collect our favorite experiences from that 3 weeks in Australia. 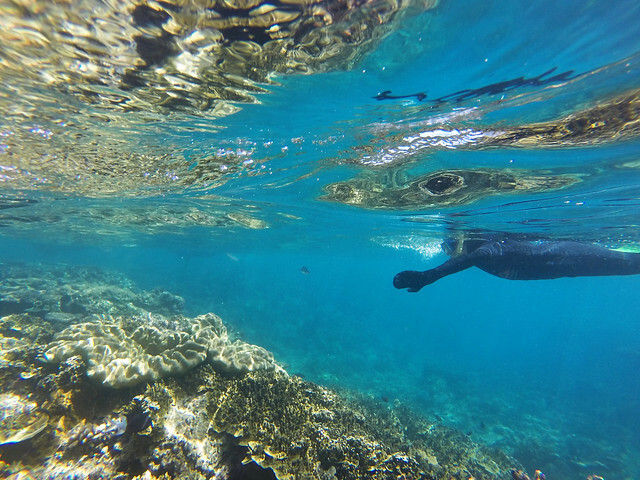 It’s full of vibrant colors in the tropics, even under the water. Especially at the Great Barrier Reef, the biggest underwater wonderland on our planet. It was one of our main reasons to visit Australia in the first place. It was also the place where we wanted to try diving for the first time. We started with the introductory diving, actually. You bet it wasn’t our last dive in the tropics! 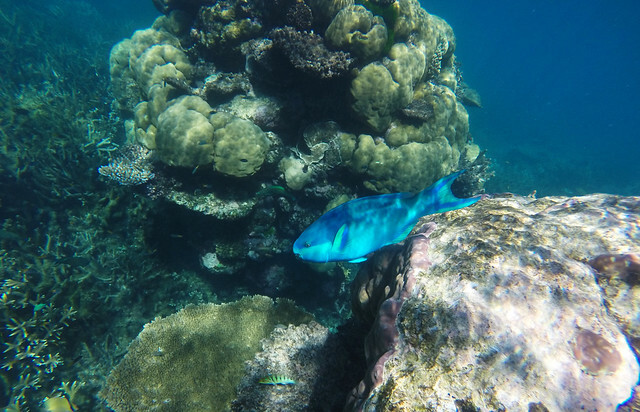 Then it came as a pleasant surprise, that even simply snorkeling is wonderful there, because the reef is so close to the surface. I think we were just floating on the surface for most of the time, gazing at all the colorful fish right below us. If the Great Barrier Reef was one reason for visiting Australia, the other was the Great Ocean Road. This drive is said to be one of the most scenic coastal drives in the world. We certainly wouldn’t question that. Driving along the Great Ocean Road can easily compete with driving California’s Big Sur coastline. Now, if you read this blog for a while, you must have realized that very few things on Earth can compete with the beauty of California in our eyes. The Great Ocean Road can. 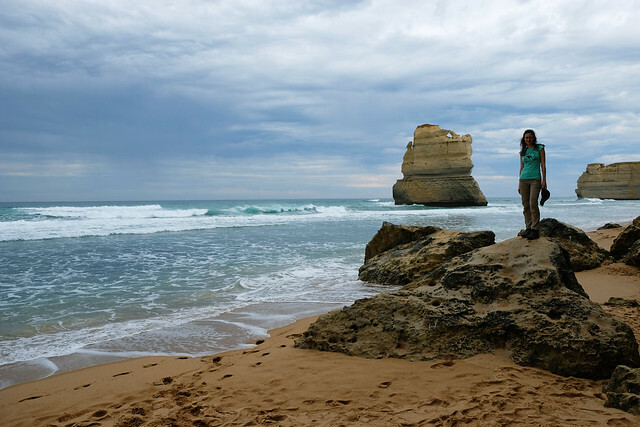 We spent 3 days driving, stopping and taking short walks and hikes along the Great Ocean Road. We fell in love with the various orange and yellow rock formations (not just the famous Apostles, there are so much more! ), the giant waves, the turquoise water of Apollo Bay, the lush green rainforest of Great Otway. 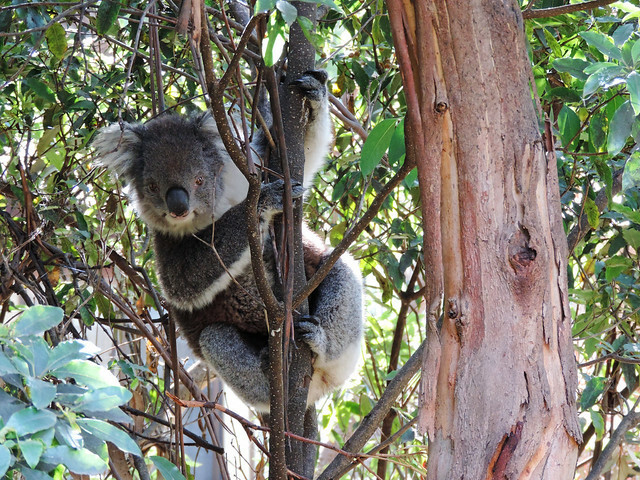 Oh, and the adorable koalas of Grey River Road! It was the only time during our trip where we’ve met koalas in the wild. The most perfect pure-white sand, the most magical shade of turquoise. 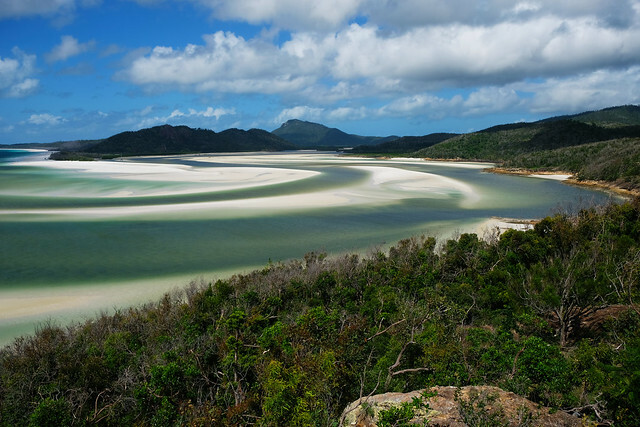 Whitehaven Beach on Whitsunday Island is one of the most beautiful tropical beaches in the world. One of our countless big dreams came true when we visited it on a day cruise with CruiseWhitsundays. We also had the chance to walk up to Hill Inlet Lookout throughout the day – for a panorama we’ll never forget. All those spectacular shades of blue, and the sandy lagoon of Whitsunday Island from above… I don’t even dare using more superlatives than I already did. Whitsunday Island was a place of dreams for us, let’s just stick with that. Living in a campervan and staying at campsites, or just out there in the wild is definitely the thing to do in Australia. Not just because it’s warm and sunny that makes camping a pleasant experience, but also because it means being close to nature and the ones who call it their home. Most of our wildlife encounters happened in the morning or in the evening. But they could never have happened if we had stayed in cosy hotel rooms. Kangaroos, koalas, wombats, possums, parrots, cockatoos, bush turkey, flying foxes and a crocodile in Daintree – without even mentioning the underwater life. (Well, some large spiders make that list complete, but those were the less desirable encounters.) I couldn’t remember any other country where we’ve met so many animals out in the wild. Animals that we’ve never ever seen before in the wild – or anywhere. Despite of all our random wildlife encounters, visiting Lone Pine Koala Sanctuary in Brisbane also managed to become a highlight. The lots of koalas, including mommies with their babies would have been already enough. 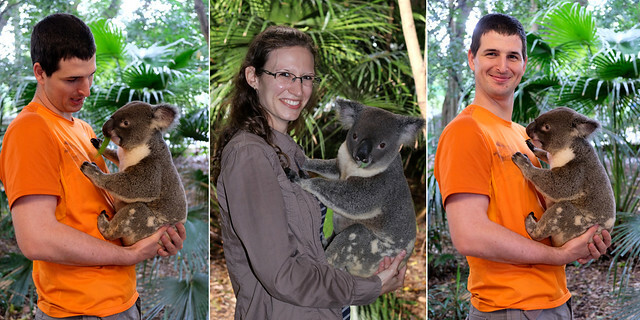 In addition, we had the chance to hold a koala for a photo. Could you imagine hugging that fluffy creature if only for a minute? It’s that. Priceless. We spent about 3 hours just around the koalas, watching them and taking pictures of them. (LOTS OF pictures.) Then we continued our way around the sanctuary to visit all the other Australian animals they have. We’ve seen a Platypus! For the first time ever. Most of our wonderful experiences in Australia are connected to nature. That’s what really amazes there in our opinion. Still, our visit to Sydney was quite memorable. 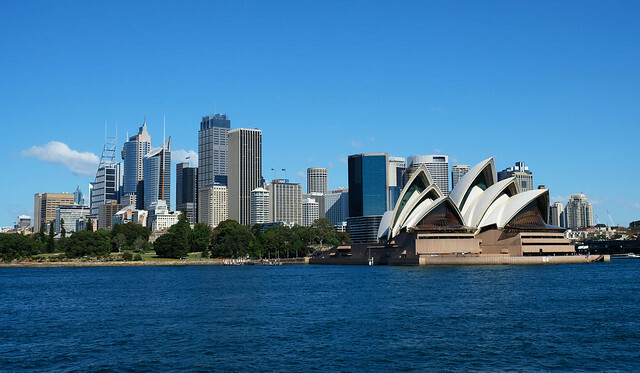 Our favorite part was the ferry ride from Manly to Circular Quay in Sydney. We stayed in Manly, and it was the first time we’ve seen the Sydney skyline and the Opera House: from the ferry. It was spectacular! We’ve definitely seen the ocean before. We even lived close by the ocean for a year in California. Still it never ceases to amaze us. Its power, its beauty, its restlessness. Whether we can go for a swim or not, we love the ocean. Well, in Australia, we could go for a swim on a bunch of fabulous beaches. While we made all the effort to act responsibly – meaning not to immediately run into the water like crazy because you’ve just noticed the most picturesque beach, and that azure color of the water is unbelievable! -, we enjoyed playing in the waves like kids. We never went deep, but that’s the thing, we didn’t need to. Australian beaches have giant waves! When we were not playing in the waves, we enjoyed the view of their giant collapses from above. Along with views of the large coastal cliffs and amazing rock formations. We liked hiking in Royal National Park, Noosa and Burleigh Head National Parks, walking up to Cape Byron at Byron Bay, and all the lovely coastal walks along the Great Ocean Road. 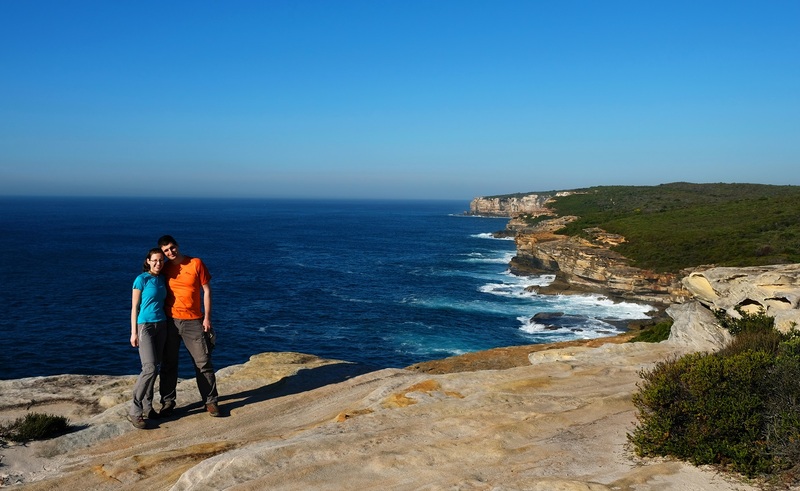 We didn’t do as many full day hikes in Australia as we usually do on our longer travels. 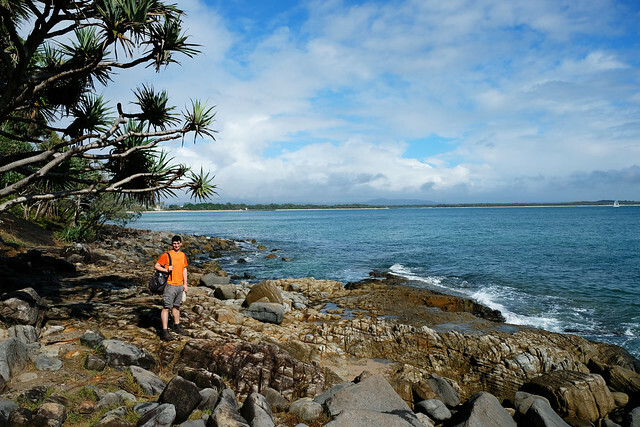 But it gave us more time to explore a lot of different hikes in different areas of Victoria, New South Wales and Queensland. For good. Speaking of which, we explored a bunch of rainforest walks and hikes. Starting with Victoria’s Great Otway National Park, we then went for waterfall hunting in Girringun and Wooroonooran National Parks in Queensland. We finished our trip with a full day in the ancient Daintree Rainforest. Rainforests are magical! Though trees are literally killing each other for the light – some of them might kill you, too (just kidding, but you might get a bad headache for a couple of weeks, so better not to touch any plants you don’t know) -, life flourishes everywhere, from the ground to the canopy. The first time we’ve entered a tropical rainforest was in Australia, and nature overwhelmed us – this time, too. 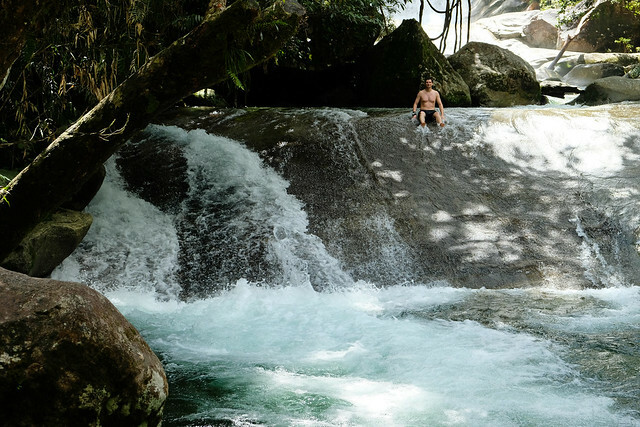 Not to mention the feeling of jumping into a crystal clear pool in the middle of this lush green wilderness with some cascading waterfalls as a backdrop. 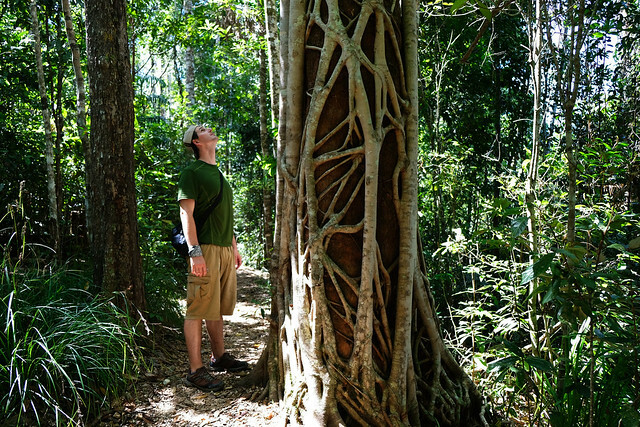 Whether in the rainforest, on the beaches or in city parks, we’ve seen lots of exciting and giant trees in Australia. We don’t normally get really excited about trees, but some trees in the world are the kind that takes our breath away. Like the Redwoods and Sequoias of California. 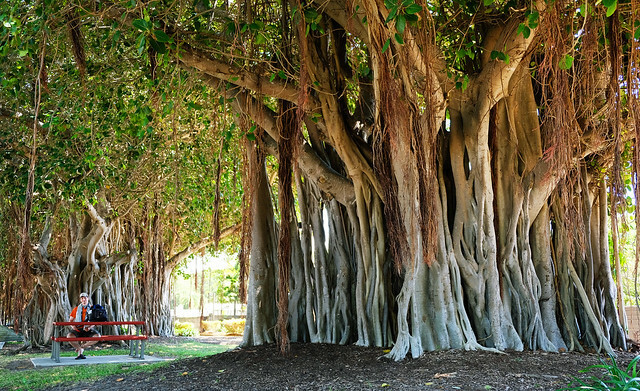 Or the Australian Banyan Trees. 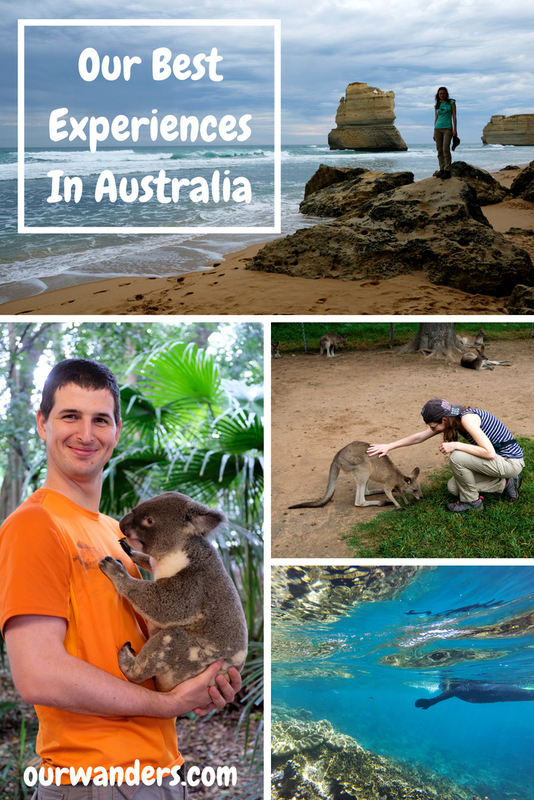 Well, this post is rather just an introduction to our adventures in Australia than a complete summary. So stay tuned for a lot more stories coming! Have you ever been to Australia? What did you like the best? If not, what would you like to see there the most? Note: We got 50% discount on our trip to Whitsunday Island with CruiseWhitsundays. All the other activities was paid 100% by ourselves. Like always, all opinions are our own. Nice post! We have been in Sydney just for few days and have fallen in love with Australia. Definitely want to go back for a longer time. My dream is to visit Whitsunday Island and amazing Lake Hillier.